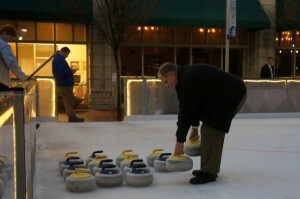 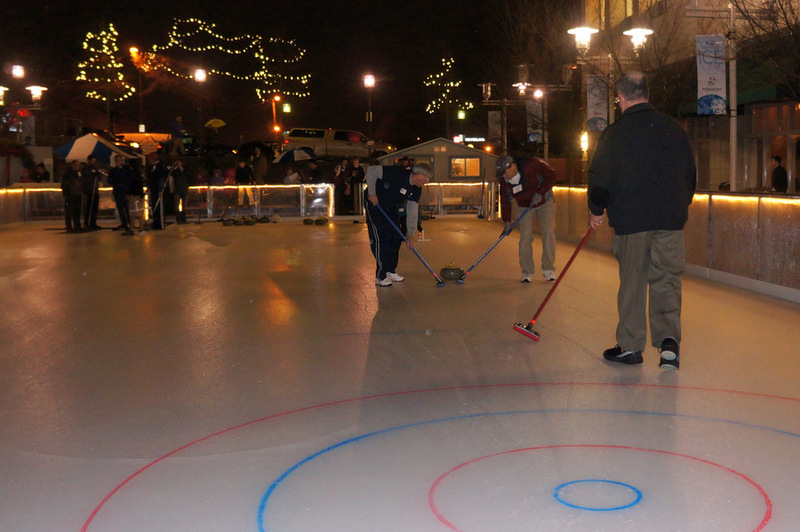 Earlier this week, theÂ Palmetto Curling Club held an informative Curling demonstration on the Ice on Main rink. 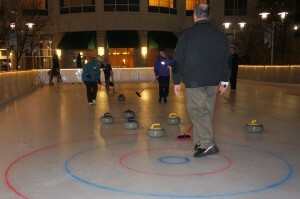 Â This was probably the first outdoor curling game in South Carolina! Â Passersby could get a brief overview of the game and try their hand at ‘delivering a rock’. 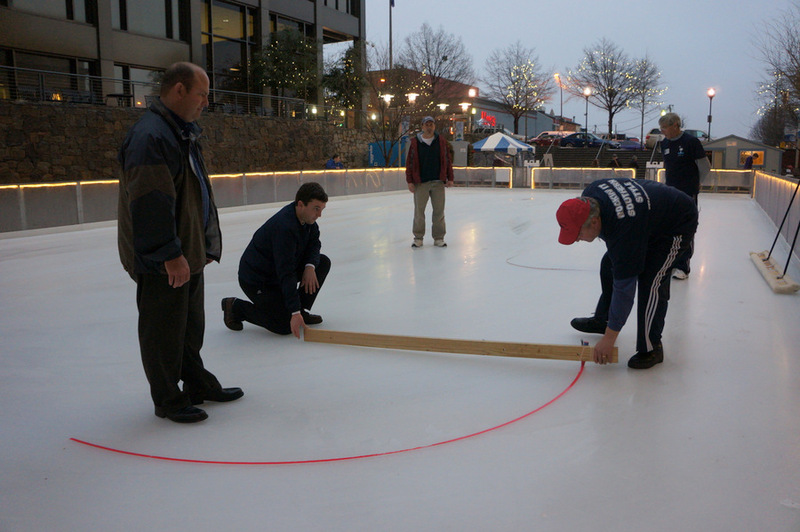 If you missed the demonstration, or want to learn more, the club will be holding a free open house on Feb 5 at 7:30 PM at the Pavilion complex in Taylors.